This vendor-agnostic presentation includes interactive audience participation. Learn how to avoid common pitfalls in procuring and implementing HCM technology. Find out what vendors don’t tell you, what critical questions you should be asking of them, and steps you can take to make an implementation stress-free. You will leave armed with strategy on assembling a team, managing the project, and choosing the right solution(s) for your organization’s specific needs. 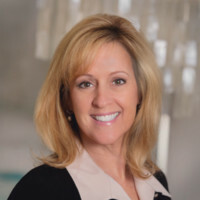 Ann Getz is a 25-year consultative sales professional, with a background in HCM Technology, Benefits, Time & Labor Management, and HCM analytics. She attended Illinois Central College. Her passion is helping clients get their time back and reduce risks by leveraging various HCM technology solutions. Ann is the proud mother of 3 boys and an active supporter and volunteer at several Indiana non-profits including O’Connor House and Brookside Community Church.